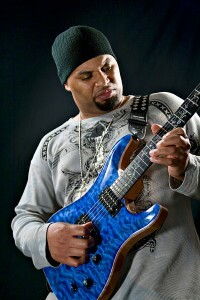 All current models are now available for left handed players. 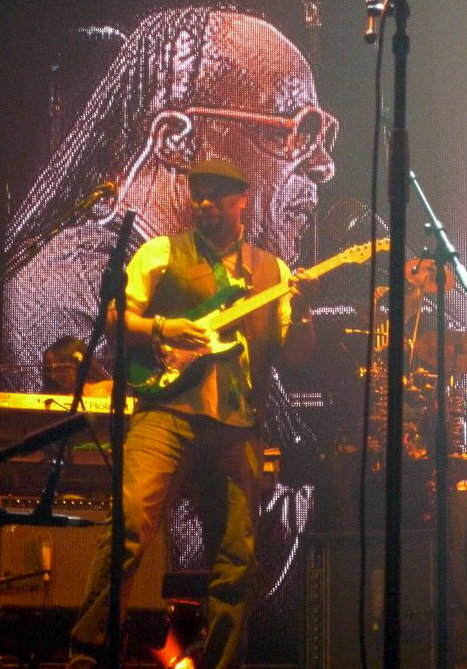 This guitar is from the Custom Series and features the same neck thru-body design for days of tone and sustain. 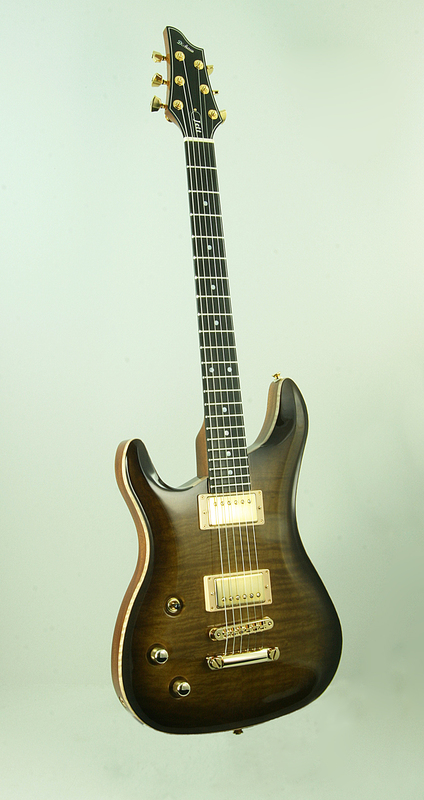 This guitar has a 25.5 scale length, 22 jumbo frets, ebony fingerboard with 14" radius. This guitar also features a real ivory nut. This also features a one piece Mahogany back and neck, with a stunning quilted/flame maple top. The finish is a high gloss urethane coating that features natural binding along the top edge. Pickups are Seymour Duncan Alnico 59 Reissue in neck and JB series in the bridge position. Sperzil locking tuners, Tone Pro Hardware, all in dazzling gold plated finish. There is a master volume and tone with a three way toggle selector switch. The volume and tone control is a push/push control pot that allows you to split coils in each pickup resulting in an amazing array of tonal possibilities. Now I can easily convert any model to accommodate left handed players. Here is the first of several versions of the new Dishaw LP Custom. This is the Black Beauty, serial # 012. This guitar features a 25.5 scale length, Wilkinson V100 tremolo system, Sperzil Tuners, Seymour Duncan Sh-15 bridge pickup with APH-1 Alnico neck pickup with 2-volumes, 2-tones and a three way toggle. All in gold hardware. This guitar features the same neck through the body design for days of tone and sustain. The guitar back is constructed from ash wood and the top and neck are made from hard rock maple. The combination of these woods produce a bright and clean sounding instrument. 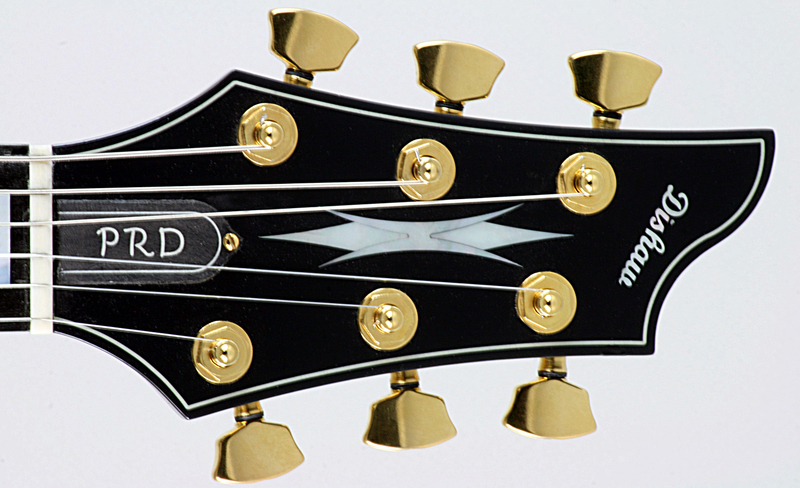 We have also introduced a new look for the the headstock design with a new inlay in the middle. All inlays are made with real mother of pearl. This is a real rocker, clean and bright with sustain that lasts forever. You can truly rock on with this new LP series from Dishaw Guitars. Pictured from left to right are serial numbers 010 and 011. These are both highly figured maple tops, one on the left is a superb example of tiger maple and the one on the right is a very unique combination of quilted and tiger flame. Both pieces of wood are indigenous to the Washington and Oregon State regions. 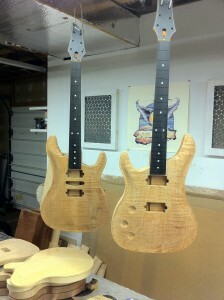 Both guitars feature a mahogany neck thru in a one piece mahogany body and of course 3D craved maple tops. Guitar on left will have a Wilkinson Tremolo System, two push/push split coil tap vol/tone controls and a 5 way mega switch. The guitar on right is a left handed model and will feature all Tone-Pro Hardware hard tail with T.O.M locking bridge system. Also will include the push/push split coil tap vol/tone controls. 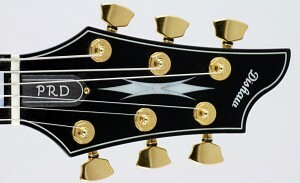 The right handed guitar was built under the guidelines and specification of Dr. Joe Jewell. The lefty was designed under the guidelines and specifications for Jett Killingbeck. Jett is a very unique guitar player who plays the guitar left handed and upside down, and plays the heck out of it. 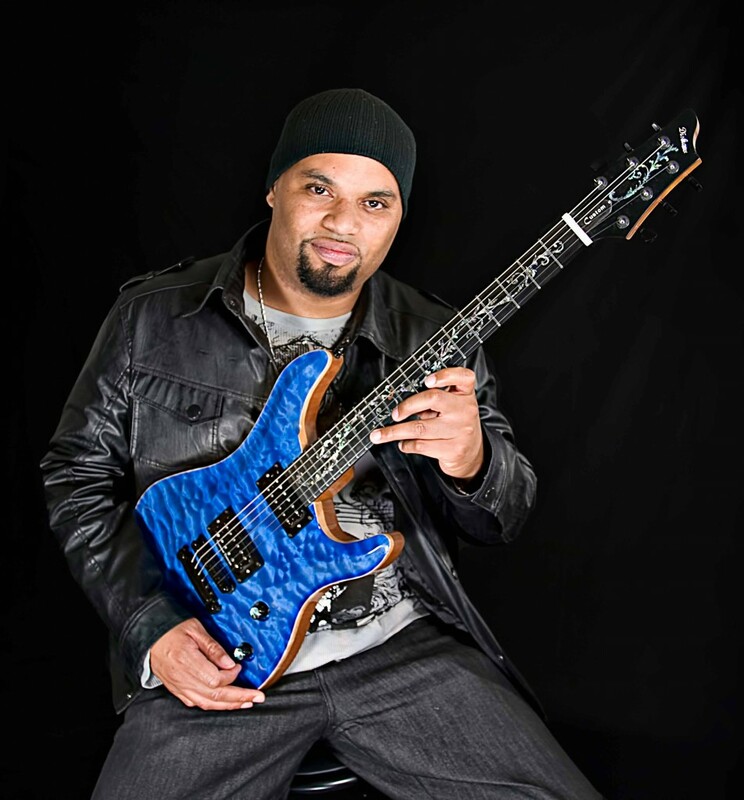 Dr Jewell is a Grammy winner and is truly one of the best players I have had the privilege to serve. All that remains is some frets, a FB nut, locate scale lengths, set hardware locations and prep wood for sealer and colors. It has been a pleasure to build these instruments for these two talented players. 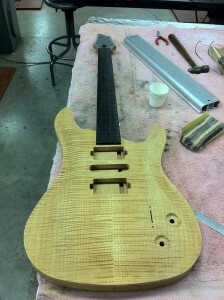 Please stay tuned as I will post pictures of these completed guitars within the next few weeks.